Feel helpless after deleting files from hard drive? You can find easy solutions to undelete files from hard drive and USB disks in this guide. Whether is happens rarely or not, there must be a time that you are looking for certain files on computer hard drive or other storage media and then you are aware that they are no longer visible and accessible. If these are files that mean a lot to you, the loss control of them will definitely bring a sense of scary and anxious, as you feel at sea as to what you should do. Most of times, it’s very hard or impossible to recreate those lost files, for some files are of hours or days working, and many users do not have time or energy to do that. Thus it is necessary and important that users should learn methods of how to recover deleted files. It has been deemed that recovering deleted data is not impossible to common users. Because data recovery used to requires rich and professional computer knowledge, and common users are beyond of that ability. As time goes on, that situation changes immensely. Why deleted files can be recovered from hard drive? The current situation is that data recovery software makes it quite easy to regain lost files or partitions. When a file is deleted from hard drive of your computer or laptop, it is not immediately erased from hard drive. Actually, the deleted file is only tagged as one that is visible to system and can be overwritten by newly stored files. So, the longer that the file is deleted the harder to get it back successfully. Then data recovery programs come into use. The present software market is full of various types of software which is able to recover all sorts of files. Many of these applications are capable of dealing with all kinds of storage devices for different users. Some of such programs have excellent features such as Eassos Recovery and PartitionGuru which supports recovering deleted files from hard drive via very simple steps. How to recover deleted files from hard drive? One thing need to pay attention is that data recovery software shouldn’t be installed to hard drives that waiting for recovery and recovered files shouldn’t be copied to the hard drive either. Otherwise, lost files can be overwritten. 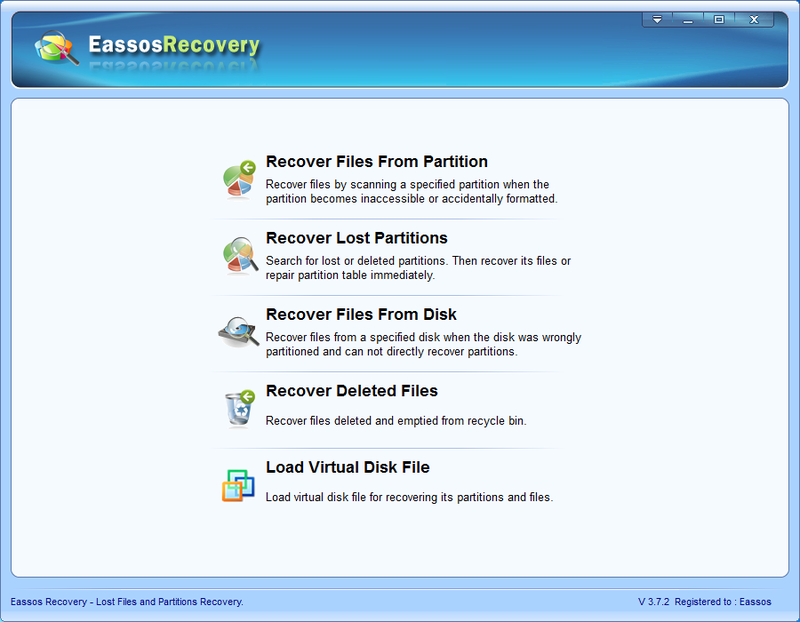 Eassos Recovery, popular and qualified data recovery program, is capable of offering users reliable and easy solutions and restore files from hard drives with simple steps. The sooner recover process starts, the better recovery result you can gain. Here are detailed steps. 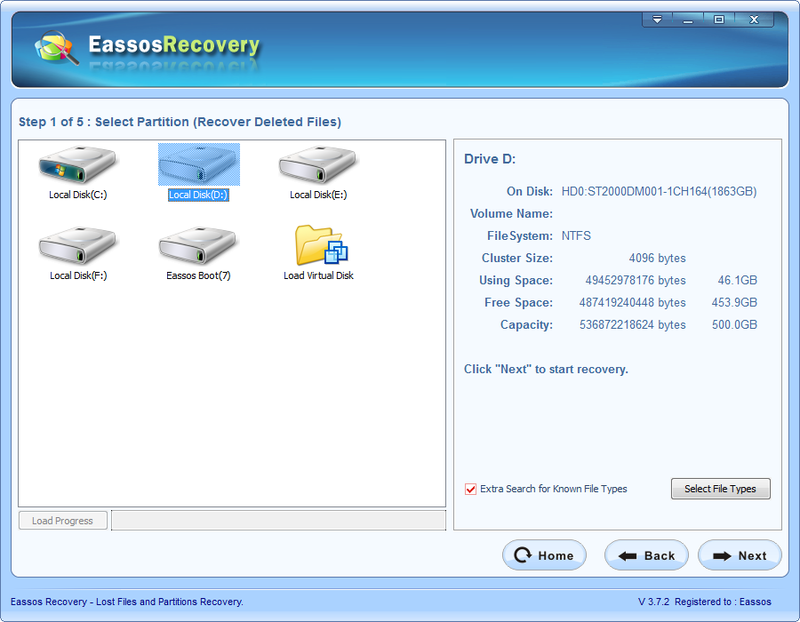 Step 1: Get this hard drive recovery software started and select proper recovery mode, and then move to next step. 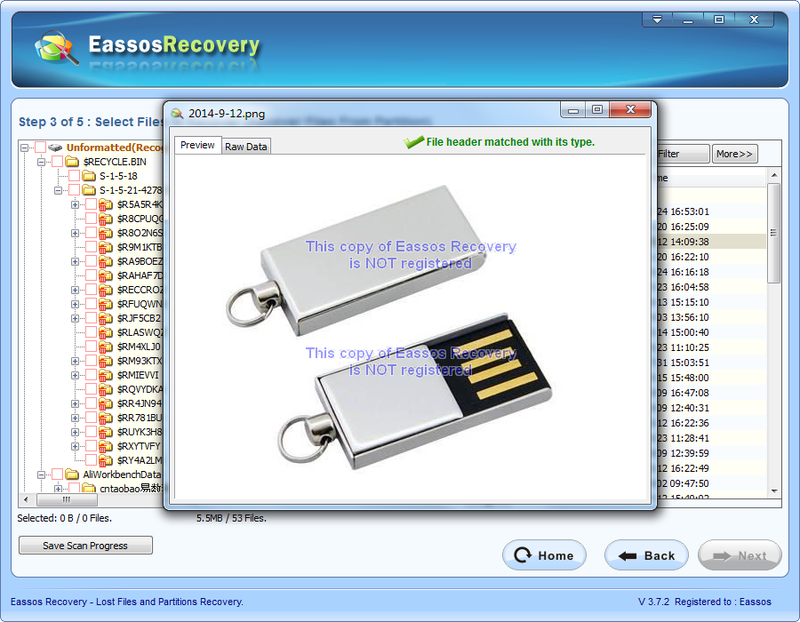 This entry was posted in Data Recovery and tagged deleted file recovery free, hard drive recovery software, recover deleted files, recover deleted files from hard drive by EASSOS. Bookmark the permalink.